Gardeners have long used oils to control plant-damaging pests, but for many years their use was limited to the dormant season. Today, however, the new horticultural oils on the market are more versatile and safer to use on more plants. Horticultural oils are now one of the best ways to control a wide variety of plant pests during the growing season. These oils [except neem oil] kill insects by suffocating them. Oils also kill insect eggs by penetrating the shells and interfering with metabolic and respiratory processes. In addition, oils disrupt feeding by insects such as flea beetles, whiteflies, and aphids without necessarily killing them. The fact that oils kill insects by smothering is a key virtue. Many other pesticides kill them by interfering with biochemical processes that are similar to those in other animals, including people. What kills a tiny insect can make us sick, too. Also, oils have few residual effects, and so their impact on beneficial or benign insects is minimal. Horticultural oils prevent the spread of viruses by aphids, including watermelon mosaic, squash mosaic, and potato virus Y. Oils also curb the spread of viruses that humans transmit by hands or tools [for example, tobacco mosaic virus]. Additionally, oils control powdery mildew. Diluted horticultural oils, mixed with baking soda, control this common fungus. Most beneficial insects, such as green lacewings and ladybird beetles, scatter before the spray comes and aren't bothered by the residue when they return. However, small, soft-bodied beneficial insects such as predatory mites can't move out of the way fast enough and are killed. If you rely on beneficial mites to deter other pests, think twice before using oil [or any other pesticide]. Better still, release beneficial mites several days after you treat with the oil spray. Horticultural oil is the preferred general term for the various oils gardeners use on plants. Most horticultural oils are refined from crude oil. They have several common characteristics but different names [see below]. The exceptions are vegetable and neem oils, which share some petroleum-oil features but not all. Most horticultural oils contain naphthene and paraffin compounds. Paraffins are valuable to gardeners because they're more toxic to insects and less toxic to plants than other oil compounds. In contrast, oils containing naphthene are less pesticidal and more likely to injure plants than paraffinic types. Oils high in naphthene also contain more impurities such as phytotoxic aromatic and unsaturated hydrocarbons. However, the newest horticultural oils contain only tiny amounts of those compounds. Another plant-damaging compound in oil is sulfur, and oils sometimes have a UR [unsulfonated residue] rating that indicates sulfur content. The higher the rating, the lower the sulfur content. Most horticultural oils have a UR rating of 90 or above. Viscosity or thickness is another labeled measure of an oil's effectiveness and safety. [Oil viscosity is measured by how long it takes a given amount of oil to pass through a hole or ring.] For example, a lighter oil that takes 60 seconds to pass through a ring is a 6E oil; thicker oil that takes 80 seconds is an 8E oil. Lighter or thinner oils are more desirable. The UR rating and evaporation range are more reliable plant-safety predictors. Over the years, horticulturists have coined several, sometimes confusing, terms for various oils. Dormant oil is used on woody plants, especially fruit trees, during their dormant seasons. New, refined, lightweight oils have replaced older heavy dormant oils. Today, the name refers to the time and rate of application. Mineral oil is a light, petroleum-derived oil gardeners can use to control corn earworm. Narrow-range oil is a light oil graded according to the range of temperatures over which it evaporates. Lighter oils evaporate over a narrower range of temperatures than other oils, and thus this term is synonymous with superior or supreme oil. If an oil evaporates quickly, as light oils do, plants have a greater margin of safety. Spray oil includes soaplike emulsifiers that allow water and oil to mix for spraying. Summer oil is used on leafy plants during the growing season. Generally, it's the same as narrow-range, superior, and supreme oils. Superior oil describes new, more refined oils that can be applied safely-at lower rates-to green leaves. Today, all horticultural oils are superior-type oils, and label directions specify varying application rates for use during dormancy or the growing season. Supreme oil is one brand name for a superior or narrow-range oil. Neem oil comes from the seeds of the neem tree [ Azadirachta indica ] and is used as both an insecticide and a fungicide. Neem oils such as Rose Defense or Trilogy [formerly NeemGuard] are effective at killing insect eggs and immature insects, notably small soft-bodied pests such as whiteflies and aphids. It has been shown that neem oil kills certain mite eggs, too. Neem oil also prevents powdery mildew and black spot. Use it on roses, fruit trees, and vegetables. Neem-derived insecticides contain azadirachtin. Sold under trade names such as Azatin, Bioneem, Margosan-O, and Neemazad, they control whiteflies, aphids, and other soft-bodied insects. Neem oils are largely azadirachtin-free. Other neem-seed compounds inhibit insect feeding, repel pests, disrupt insect growth, and kill fungi. Vegetable oil is the term for any oil that's derived from oilseed crops such as soybean, rapeseed [canola], or cottonseed. Stoller's Natur'l Oil is cottonseed oil [the most insecticidal vegetable-seed oil] with an emulsifier. Soybean oil provides good control. Canola and sunflower oils are less effective, and corn oil shows mixed results intests. Most often, gardeners apply oils with a hose-end sprayer. Apply mineral oil with an eyedropper in the ear tips of corn to kill corn earworms. Label directions on most oils prohibit their use within 30 days before or after a sulfur application. Other oil-incompatible pesticides exist. Be sure to check the label. Labels of most horticultural oils warn against applying them to plants when temperatures are below 40 o F or above 90 o F. Labels continue to include this advice despite increasing evidence that this temperature range is conservatively narrow. It's more important that the plant shouldn't dry out, and humidity should be low enough [45 to 65 percent] for oil to evaporate quickly. Actively growing insects or mites are more susceptible than dormant ones. The best time to apply dormant-season oils is after insect dormancy ends in late winter or early spring when insects resume growth. 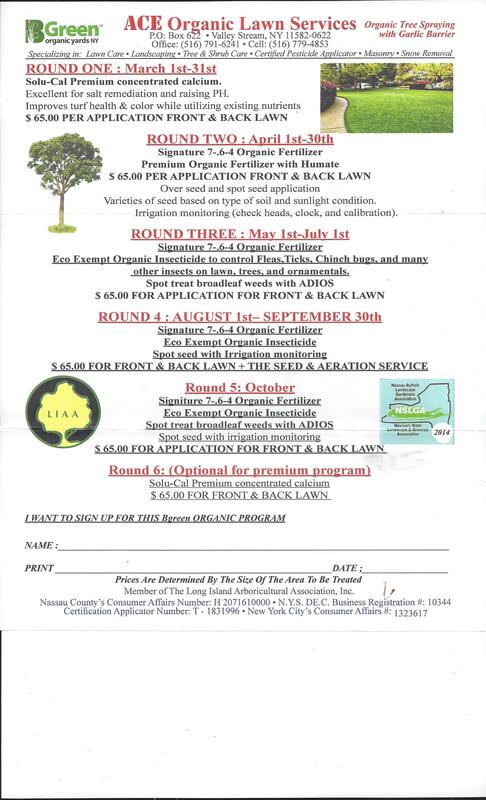 Read and follow labeled application instructions and precautions. Although the recommended temperatures may be moderate, don't assume safety. Irrigate the day before spraying to be sure plants do not lack water. Likewise, spray in the early morning on cloudy days of low humidity [to speed evaporation]. Don't apply oils when shoots emerge in spring. 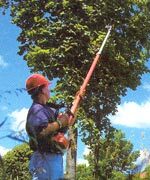 Several plants are susceptible to oils: maples, particularly Japanese and red maple; hickories and black walnut; plume cedar [ Cryptomeria japonica ] and smoke tree [ Cotinus coggygria ]. Injury to these plants can occur from either dormant or summer oil applications. Several plants are also somewhat sensitive: redbud, junipers, cedars, spruce, and Douglas firs. Light yellowing indicates that a summer oil application has burned the foliage. Later, these sites become water-soaked, darken, and die. Terminal or branch dieback indicates damage from a dormant application.